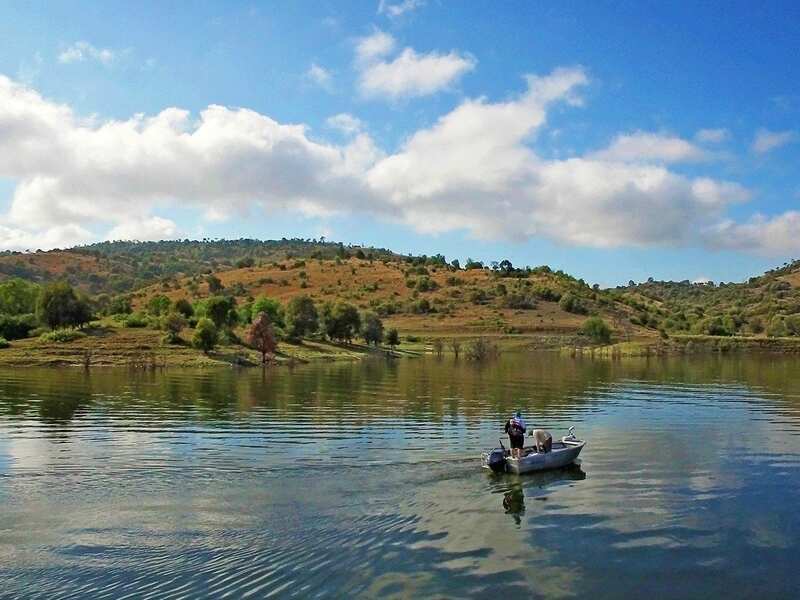 Hook, line & sinker – the Sandstone Wonders region with lure you right in! Fishing lends itself to many great clichés, but this is not a cliché: we have the best wild fishing in Queensland. 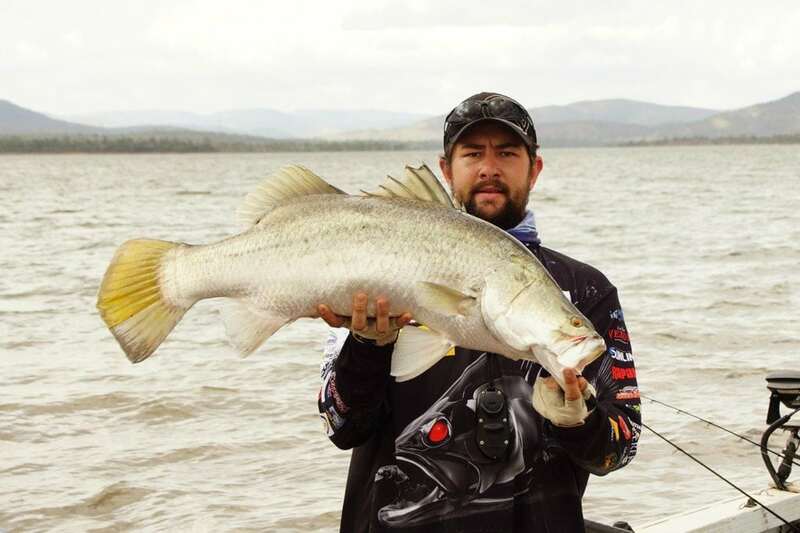 Some even say it’s the best freshwater fishing destination in Australia. Let us tell you why. Firstly, where is the Sandstone Wonders? The region is located just west of Queensland’s Capricorn Coast in the Banana Shire. 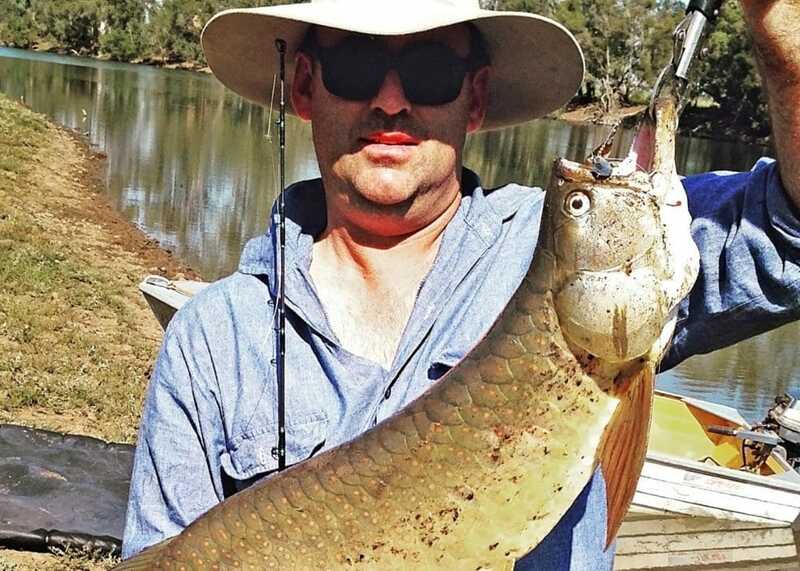 Easily accessible as a half-day drive north-west from Brisbane, or just over an hour’s drive south-west from Gladstone – and you’ve arrived in fishing heaven. The Sandstone Wonders region is named after the spectacular ancient sandstone cliffs and 25 mountain ranges scattered throughout the region, however, in this instance it’s the abundant water sources that are the key attraction. With plenty of rivers and creeks meandering through the region, along with both natural and man-made dams, weirs and lakes, there’s a perfect fishing spot waiting just for you. Have you seen the movie? Sadly, we can’t promise you’ll find Brad Pitt when you go fishing in the region, but we can promise great fishing spots to meet everyone’s needs. 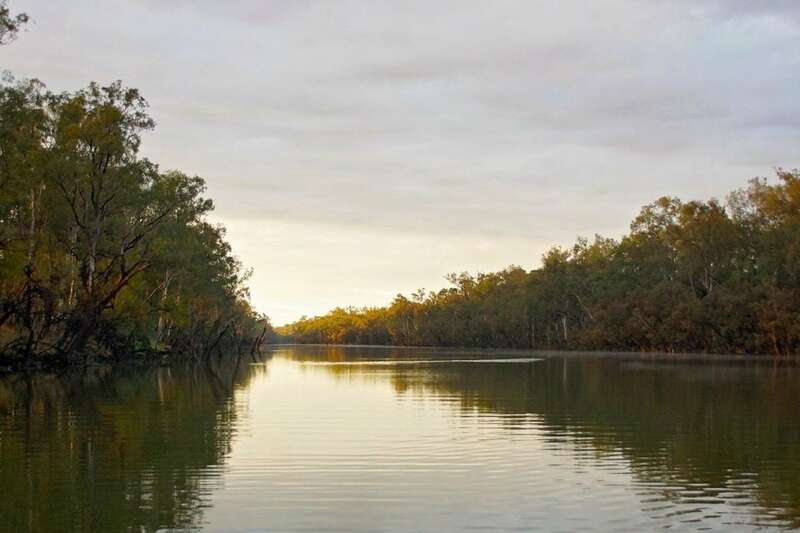 One of the main water courses in the Sandstone Wonders is the picturesque Dawson River, which flows pretty much right through the whole shire, from Expedition National Park in the south-west to Baralaba in the north-west, before it joins the Fitzroy River further north. In the very north of the shire, the Dee and Don Rivers run across the region. There’s no shortage of great locations to drop in a line – whether it be a for a few hours, or a few days. 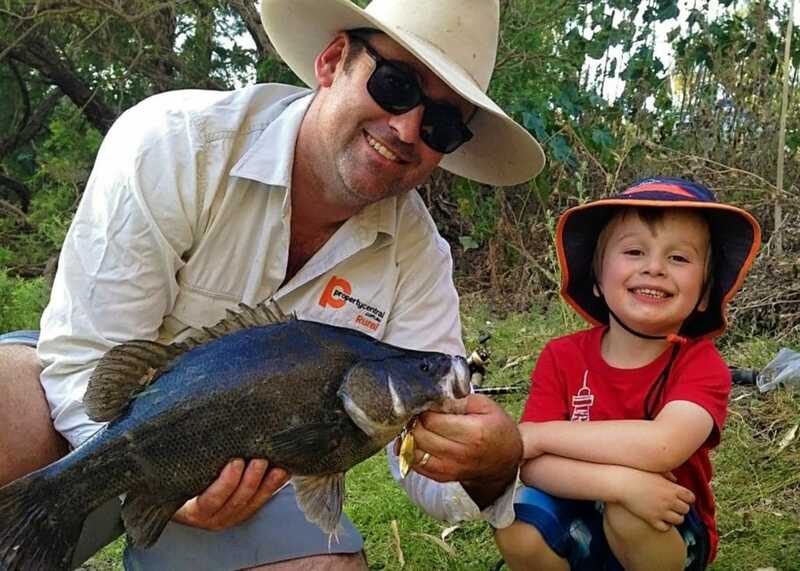 Wild freshwater fishing is the key attraction – with key species to catch including yellowbelly, catfish, saratoga, fork tail catfish, barramundi, eel, spangled perch, sleepy cod, silver perch, banded grunter, and freshwater crayfish and red claw. Some spots have a catch and release policy, so please check in advance. Here’s a list of the top spots to reel in a catch, with locations suitable for experienced fishing fanatics, and for beginners. The Callide Dam, just 15km east of Biloela is an ideal spot to start for beginners. Here you can find saratoga, golden perch (yellowbelly), cod, barramundi, silver perch, and red claw – a type of crayfish which is a popular local delicacy. The dam also has excellent recreation facilities, BBQs, picnic area, boat ramps, and toilets. No camping facilities are available currently, but the new Callide Dam Retreat is due to open any day now (July 2017); offering powered sites and cabins. Head to Cracow Beach, a very attractive spot on the Dawson River where you will find the rare Livistonia Palms. 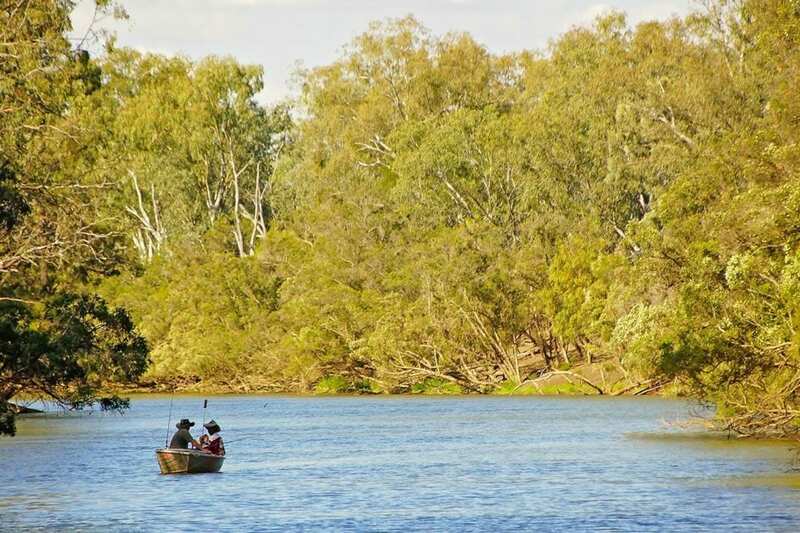 Along with being one of the region’s best fishing spots, it is also great for a picnic, swimming, or bush camping. Here you can catch saratoga, catfish, fork tail catfish, yellowbelly, sleepy cod, eel, spangled perch, and banded grunter. Access is not suitable for caravans. Free bush camping is available; no facilities except for potable water. Cracow Beach is 18km north of the historic ghost town of Cracow. Pop into the tiny former town to visit the famous Cracow Hotel – one of the top attractions in the Sandstone Wonders. A great little local spot is 4.5km east of Wowan, via the Dee River Road. A little bit less accessible than other spots, so offers a lovely quieter location; with access to the river via a steep descent on foot only. Yellowbelly, saratoga and catfish (catch and release) can be found here. Camping possible for swags and tents only, no caravans or campervans. This spot is 26km north of Jambin, or 24km south of Dululu, via the Burnett Highway. The access road is black soil, so not accessible in the wet, and not suitable for caravans. Fish species to catch here are yellowbelly and catfish. Camping is available short term for free, no bookings are required; you must be self-sufficient campers as no facilities are provided. 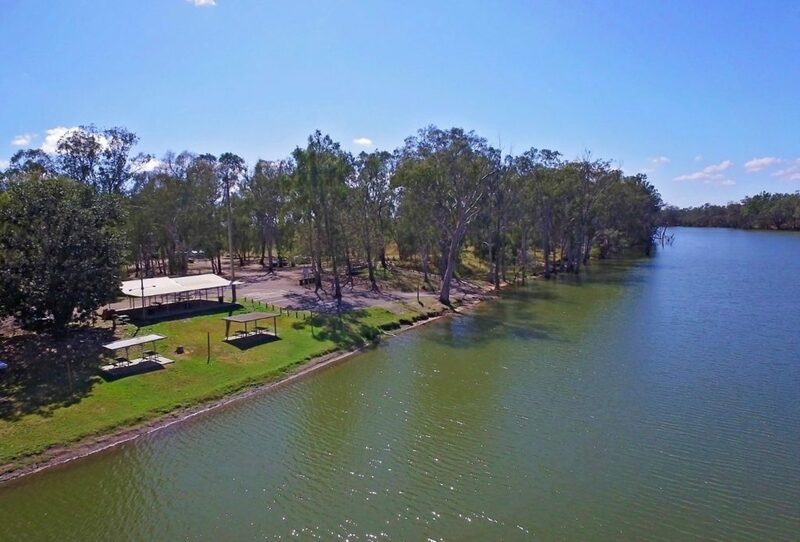 Glebe Weir is located 54km from Taroom, and is one of the region’s prime fishing spots. Facilities include boat ramp, bank access, toilets, drinking water, and picnic tables. No fishing is allowed between 100m upstream and 200m downstream of the weir. Local fish here are saratoga, spangled perch, golden perch, silver perch, catfish and sleepy cod. 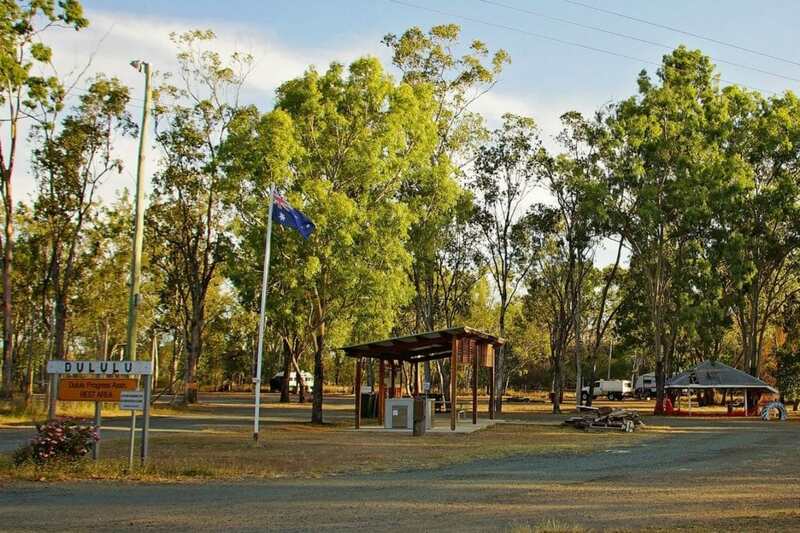 Caravan and camping sites are available from $7 per night, via an honesty box system. An easy-to-get-to location with good facilities, Apex Park is located just 10km west of Moura on the Dawson Highway. Facilities include picnic tables, BBQ, river water on tap, boat ramp, and toilets. A number of fish species can be caught here: yellowbelly, saratoga, eel tail catfish, fork tail catfish, black bream, sleepy cod, spangled perch, barramundi, eel, and banded grunter. Camping is allowed for 48hours, no power available. An easy-to-get-to spot for fishing is the Dee River Crossing at Dululu. Fish species caught here are saratoga, yellowbelly and catfish (catch and release). There is no camping riverside, but the Dululu Rest Area just down the road in Bryant St, Dululu offers handy camping nearby. The rest area spot offers the combined benefit of great fishing less than 1km away, and a clean and conveniently located spot to camp. Camping cost is by donation. Facilities include toilets, hot showers, potable water, fire pits, BBQ, picnic tables, 15+ camping sites, and a dump point. For more Sandstone Wonders information and fishing tips visit our fishing page – and don’t miss watching the fishing video. Why not plan your trip to coincide with a fishing competition? The region hosts a number of key freshwater fishing competitions each year. 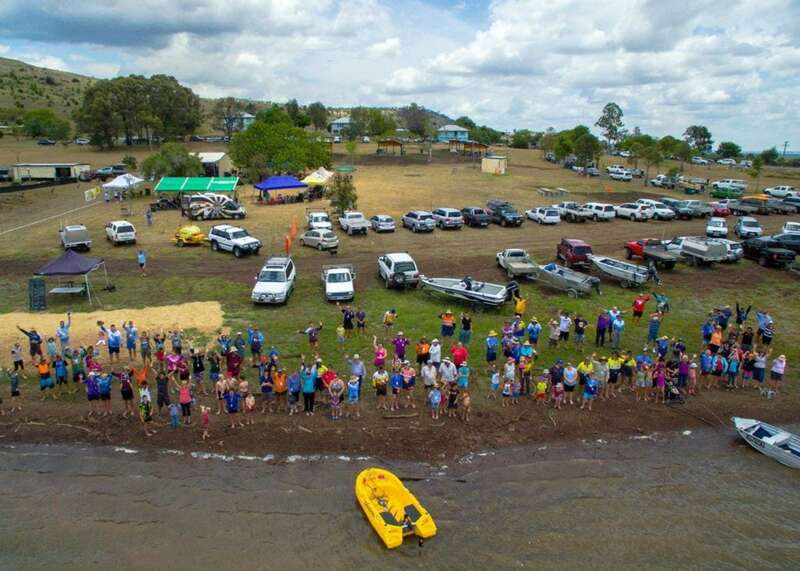 Two popular annual competitions are the Great Baralaba Saratoga Classic, held on the 2nd weekend of September; and the Callide Dam Family Fishing Classic, held on the last weekend in October. For more details see the fishing competitions page on the Sandstone Wonders website. Queensland recreational fishing rules and freshwater boating rules apply. Check out the do’s and don’ts, and how and where to get your permits from: www.daf.qld.gov.au/or download the App from Google Play or App store. And for more information on Queensland Maritime Safety re boating rules, check out www.msq.qld.gov.au/ or call 13 23 80. Camping is one of the best ways to really experience the Sandstone Wonders, with many great camping spots to choose from right across the region. Generally speaking, many of the best camp spots are only accessible to those who are self-sufficient, with BYO camp gear, cooking facilities, tents, campers, water and fuel, emergency supplies, and power supply. You will find ‘free camping’ spots, camp grounds, National Park camping areas, and caravan parks. 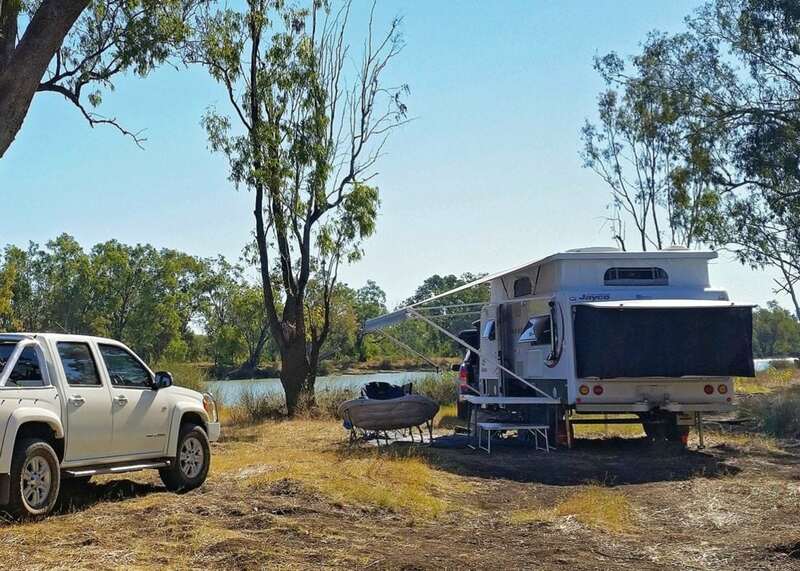 Many of the key fishing spots have camping facilities nearby, or self-sufficient bush camping. If you are towing a caravan, check road access, as many unsealed roads are not suitable – especially in wet weather. If you are planning to camp in a designated camp ground or National Park ensure you book and obtain the necessary permit. Note: please ensure your respect private property. Don’t venture onto private land to fish or camp unless you ask for permission from the owners. Or check out some of the suggested self-drive itineraries. And to keep up-to-date on regional news and events, please check out our Facebook page.